Chris worked in the music business for 10 years, booking bands and managing production for events around the globe. He was constantly frustrated with suppliers not finding site entrances, and bands not finding their way from the hotel to their gigs. Chris tried distributing addresses and GPS coordinates for years but both failed him on numerous occasions. He was certain there was a better way: what3words was born. Jack led the operations of translation company Lingo24 for eight years. During that time, he led its growth from five home-workers to 150+ staff on four continents. At the same time, his passion for quizzes led to him founding QuizQuizQuiz, the UK’s largest quiz event business. 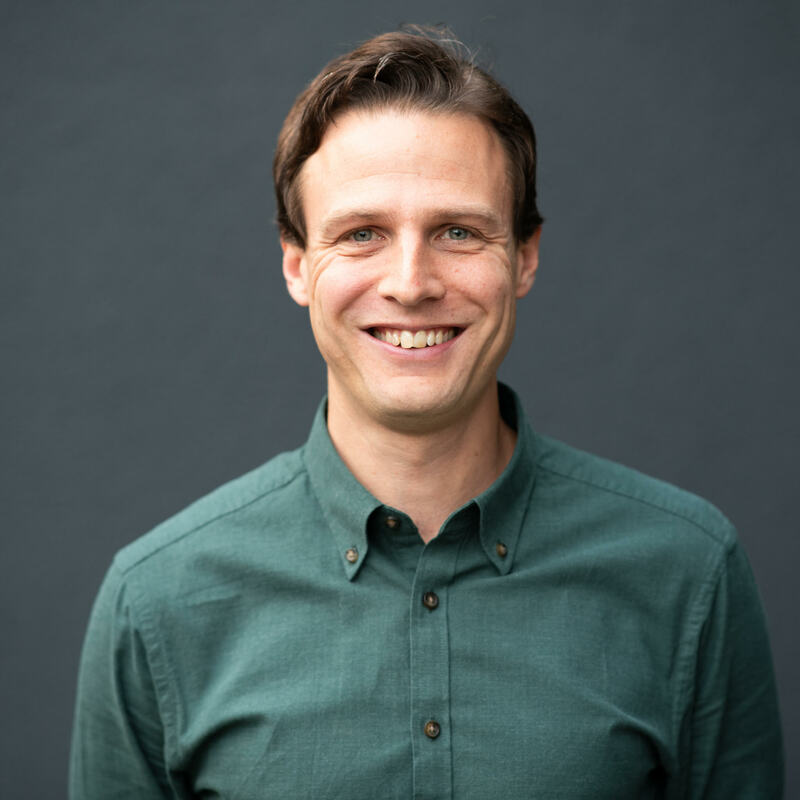 Immediately prior to what3words, Jack was involved in the creation of Property Detective, a service to help people make better decisions about moving home. 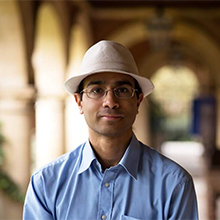 Obtaining the top first in the Mathematics Tripos (the ‘Senior Wrangler’) in 2001, Mohan indulged his passion for languages and completed an MA in Anglo-Saxon, Norse & Celtic where he won a university prize for the best results in the Cambridge English Faculty. He went on to do a PhD on “The Language of Mathematics”, winning the Europe-wide E. W. Beth Prize for outstanding dissertations in the fields of Logic, Language, and Information. On the basis of this work, he was selected as a Research Fellow at Trinity, where he spent six years studying language and cognition. 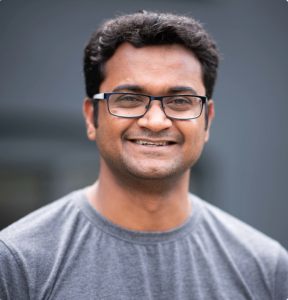 Mohan co-designed the what3words system and wrote the subsequent what3words AutoSuggest algorithm. When not working on what3words, Mohan enjoys volunteering with a variety of children’s projects around Cambridgeshire. Giles has spent 20 years in advertising, the last 10 at Ogilvy & Mather Worldwide. Specialising in global digital strategy his clients included Unilever, Dove, IBM, HP, British Airways, Cisco & Philips. 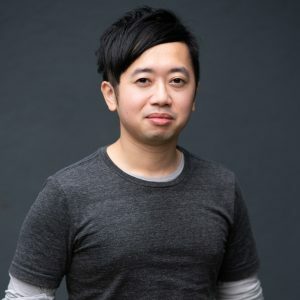 With them, he won awards for ground-breaking integrated, digital, mobile, social and outdoor campaigns, and developed a brand-inspired prime time entertainment TV show. 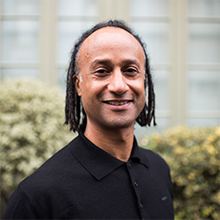 He loves taking innovative approaches to help set up teams, divisions and agencies, including Saatchi Vision, Agency.com, AgencyRepublic, Ogilvy Labs UK, Ogilvy Entertainment UK. 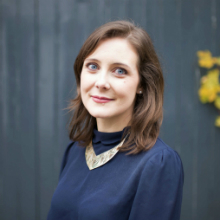 Clare’s background is in the development and growth of social enterprises, including with London-based impact investment firm, ClearlySo. Her previous experiences include setting up 2nd Chance, which helps young Londoners into work, and working with NGOs in the UK and abroad. She studied for an undergraduate degree in English, with her graduate degree in the Geography Department at the University of Cambridge. Clare also volunteers with the Streetlink project, doing health outreach work with vulnerable women in South London. 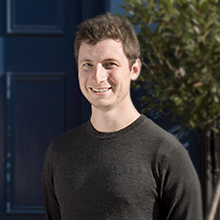 Born and raised in Brussels, James has a research MSc from Durham University in AI and Computer Vision. His first role was at QAS (now Experian), working on address management systems. 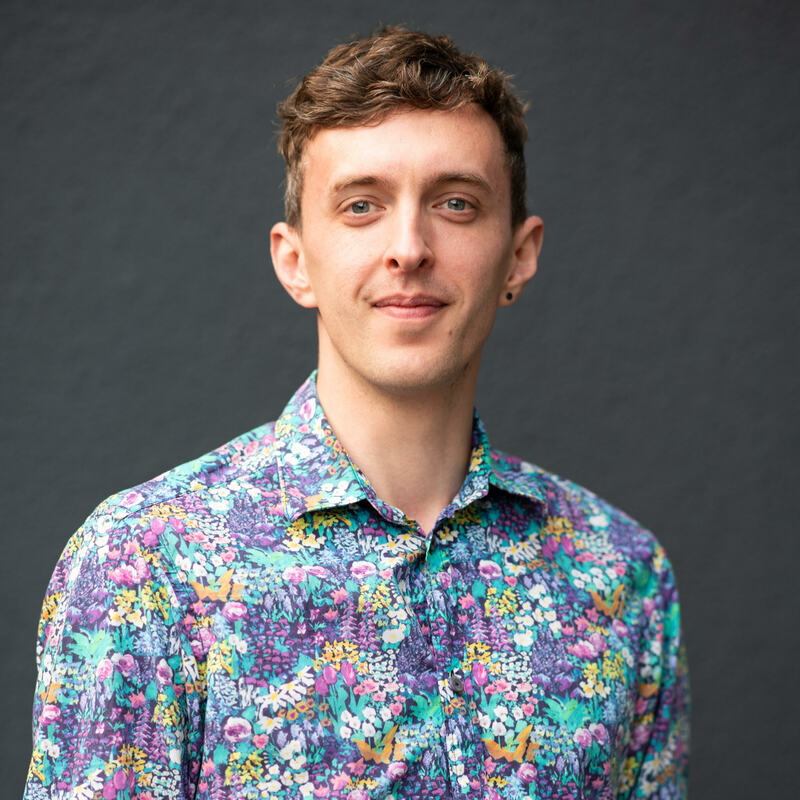 He has since worked at Ocado, designing and writing advanced analytics systems such as the in-house routing and mapping systems, and going on to lead the Routing Systems team. James then spent over four years in a hands-on role at BP, to become Head of Optimisation and Data Science. 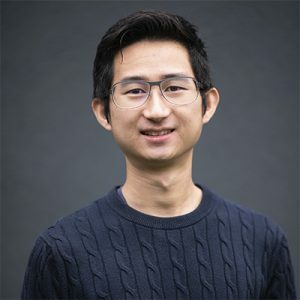 In this time, he wrote global logistics optimisation engines, built up an Optimisation team from scratch, and designed machine learning models for decision analytics. 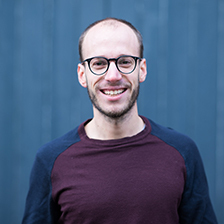 James was involved in the early days of what3words back in 2014, when he wrote the first offline implementation of the what3words system. In his spare time, James enjoys swimming and family time on his narrowboat. 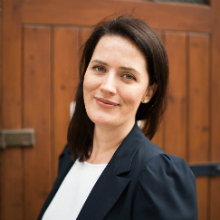 Camilla has spent 15 years involved in the development and growth of young companies, on both sides of the finance table. Previously CFO of electric vehicle tech business, Saietta Group, she was responsible for closing over £5m in investment and grants, running a strategic acquisition, and building robust financial systems. Prior to that, she made and managed private investments for an AIM listed £300m clean energy fund. Camilla studied Biological Sciences at Oxford and holds an MBA from London Business School / Columbia NYC. She firmly believes in the role of enterprise and tech to deliver solutions to global problems and enjoys running and nature. Prior to what3words, Tom spent 12 years working his way from Intern to Partner at global communications consultancy, Portland. During that time he helped steer the company’s growth from 15 people to 250 people and held operational roles from Head of New Business and Marketing, Commercial Director to most recently, Head of Business Affairs. Before kick-starting his career at Portland, he graduated from The University of Edinburgh with a Master’s in History. Tom is happiest when wandering around the Scottish hills with his family. Ian has spent the last 15 years working with Executive Teams of the UK’s largest retail and tech companies – including The Co-op, Tesco, EE and T-Mobile – to help them deliver on their strategies and operate effectively. He was part of the merger team when T-Mobile and Orange became EE, and on the leadership team charged with turning The Co-op around in 2014. With a Master’s in Mathematical Finance and undergraduate degree in Mathematics & Philosophy, today Ian inspires students with his passion for numbers while volunteering as a STEM Ambassador. Outside of work, you’ll also find him playing, coaching, umpiring and talking (a lot) about hockey, torturing a bass, or tackling a puzzle. 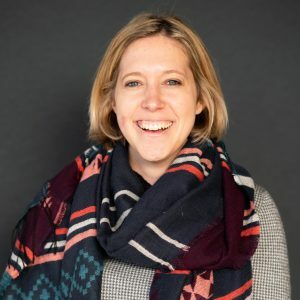 Olivia spent the first 11 years of her career at Ogilvy & Mather, where she grew from a graduate trainee, to EMEA digital lead, to integrated lead on key global clients such as Philips and American Express. She has a passion for all things digital and content, and was a key leader in developing Ogilvy’s innovative branded entertainment, content studio and efficient digital video production capabilities. 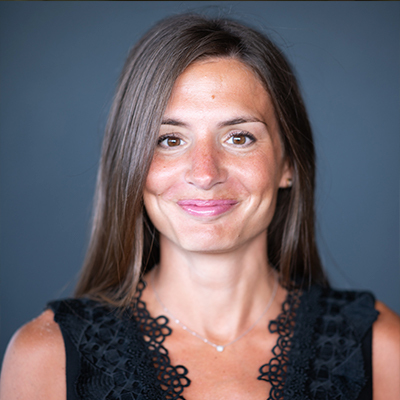 She serves as Head of Communications at what3words, leading the operations and growth of the company’s PR and marketing efforts. When not in the office, Olivia is typically trying to cross another thing off her fittingly ambitious bucket list. That, or she’s in the gym. Ivan is a Creative Director who likes to make lots of things, from logos and products, to global communication campaigns and greeting cards. He’s had the privilege of working with advertising powerhouses Ogilvy & Mather, and Adam&Eve DDB, creating countless campaigns for global brands including Dove, Audi, KFC, Philips and Unilever. 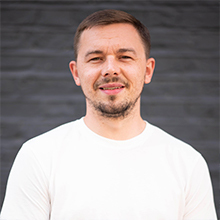 He leads the creative for communication and design across what3words, building a team of very smart people who are creating amazing user experiences across the world. Ivan runs when the sun is shining and draws cartoons when it’s not. After six years in finance at Credit Suisse amongst others, Alex took the leap and founded his own startup. Obsessed with efficiency, he developed a European door-to-door multi-modal travel aggregator which compared Air, Rail, Ferry and Coach options. The MVP led him to be asked to join JUMIA Group in Paris to build the first flight aggregator for Africa. He also headed up Business Development for their Hotel vertical, JUMIA Travel. This involved initiating and executing on partnerships with major Pan African MNOs, Banks and Travel entities. When not working you’ll often find Alex trail-running or walking his concerningly aggressive sausage dog, Wilma. 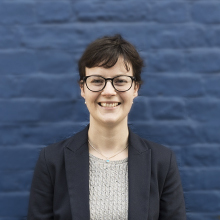 Prior to joining what3words, Anne-Claire spent eight years at the Universal Postal Union (UPU), the United Nations agency for postal services. There, she helped the postal sector innovate, moving them towards more sustainable and efficient operations and ensuring the 200+ Posts rose to environmental challenges. She also fostered social initiatives that leveraged the role of postal services in our communities, using the outreach capacities of the postal network to raise awareness about health issues. She highlighted the importance of postal services when disasters strike and advanced the tools that ensure Posts are prepared for and can recover from natural disasters. 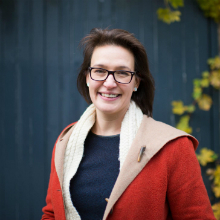 Anne-Claire’s passion is in helping businesses with a purpose work. Ashley heads up what3words in the US from Silicon Valley, with a focus on developing global partnerships across the automotive, mobility, tech and logistics industries. She joined what3words in 2017 to build strategic partnerships, taking the lead of the Automotive and Mobility team soon after. A native Joburger, Lyndsey has spent her entire career promoting the interests of, and opportunities in, South Africa. Most recently she was responsible for inward investment at the South African High Commission UK, after stints at the Palace of Westminster and the South African Chamber of Commerce. She’s a London School of Economics alumna and a self-confessed geography geek. Ask her to name the capital of Honduras. Prior to joining what3words, Uyanga spent six years working for Khan Bank, Mongolia’s largest commercial bank. There, she established Double Check Translation, now one of the leading language service providers in Mongolia. 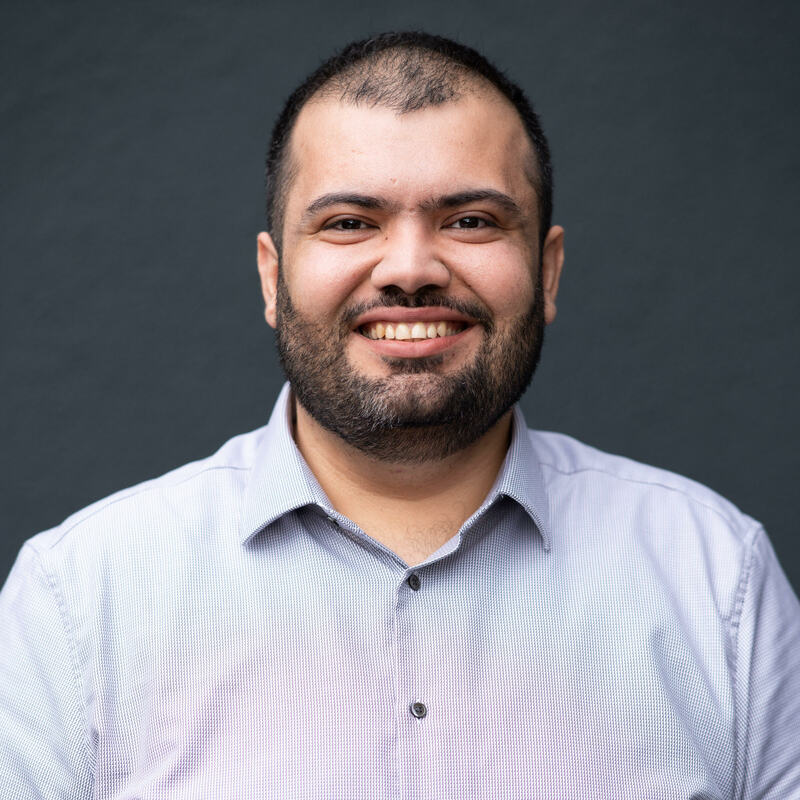 Following six years in banking at Standard Chartered where he covered strategic clients in Bahrain and the UAE, Ali shifted his focus to technology start-ups. He joined Uber and established its operations in Saudi Arabia, then helped launch Fetchr’s on demand crowdsourced package delivery platform in the GCC and scaled their C2C business across the region. Ali holds an MBA from London Business School and a BBA from The American University in Dubai. On the weekend, you’ll either find him at a barbecue or going down a rabbit-hole of random but fascinating topics. After a degree in Engineering, Jons took his education in mechanics and manufacturing into the world of marketing. Starting out in an East London interior design studio, it didn’t take long for him to realise a mixture of creativity and numbers goes a long way. Next moving to the agency side, he took on selling paid advertising solutions to businesses across Europe, the Middle East and Africa. There, he found his love of reporting, testing and statistical modelling. When not doing numbers based things, Jons enjoys obscure sports, such as stone skimming and lawn bowls, as well as pretending to play the ukulele and cooking mediocre Asian food. He also loves trains, maps, and maps of trains. Amanda graduated from the University of Cambridge with a degree in Natural Sciences before studying to be a chartered accountant within audit. 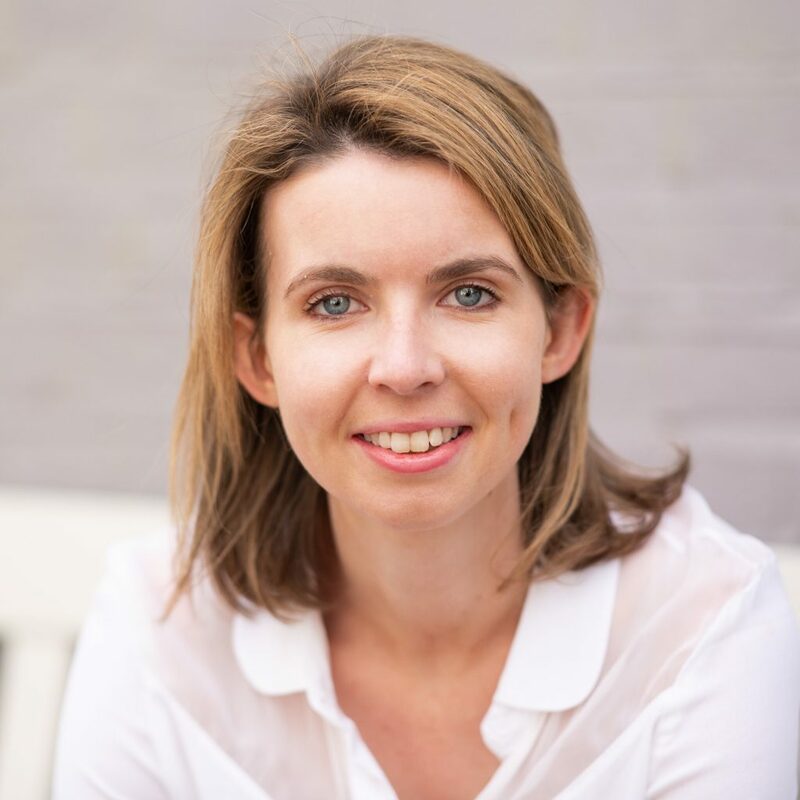 Since qualification she has worked in rapidly-growing technology startups, including being one of the early employees at SwiftKey, which she saw through to its acquisition by Microsoft. Outside of work, Amanda enjoys running, badminton and visiting far-flung areas of the world to scuba dive or see wildlife. 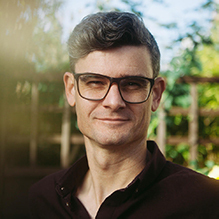 After graduating with a double major in Finance and International Business from the University of Otago, New Zealand, Rob began working in a large professional services firm helping SMEs with business strategy and tax planning. His appetite for travel led to a move to Japan, where he lived for over two years teaching English and dabbling in his more creative side, producing films. 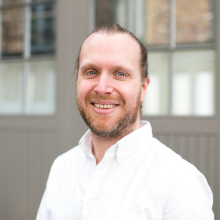 Since arriving in London, Rob has helped startups scale their finance functions to match their rapid growth. Most recently he worked at the award-winning fintech company, Ebury. Rob enjoys travelling, snowboarding in the winter and skippering yachts in the summer. 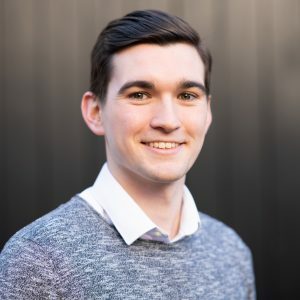 Joining what3words as a Business with Economics graduate from Northumbria University, Ethan has a desire to thrive alongside the business by becoming a qualified accountant. 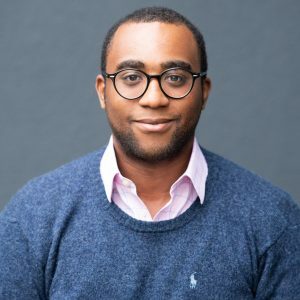 This career path was influenced by his year long Finance Internship at The Walt Disney Company, where he developed his appreciation for finance. Outside of work, Ethan has a passion for environmental and social volunteering. He spent a month in both South Africa and the Seychelles undertaking wildlife conservation, and dedicated over a year towards volunteering at The People’s Kitchen during his time in Newcastle. Currently, he takes on a new hobby every few months with his girlfriend, from ballroom dancing to ice skating lessons. 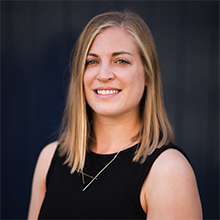 With almost 10 years in HR, Georgina has spent the last 5 years of her career working in advertising for one of WPP’s most prominent agencies. Whilst at university, Georgina took a year out and assumed the role of General Manager at her family’s nightclub in London. She has developed a natural passion for all things business and innovation, particularly where people are concerned. Away from her role at what3words she is fuelled by fast moving objects and seeing the world. After experiencing two years of agency life as a recruitment consultant, Ben joins what3words to apply his skills in a more personal environment. 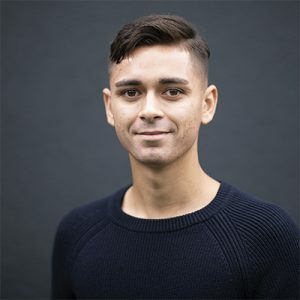 He graduated from the University of Kent in Mathematics and is currently studying for a Psychology degree part time to further develop his skill sets in HR and recruitment. Outside of work, Ben enjoys a variety of sports with a focus on badminton – both playing and coaching. 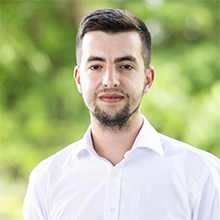 Jamie is a Masters graduate in Applied Linguistics and has previously worked around the world on linguistic, translation and project management contracts, including in Brazil, Kenya and Uganda, as well as coordinating large datasets and editing journal submissions for international research. Time spent away from what3words commonly includes a combination of tennis (playing/watching), music (playing/writing) and camper van travels. 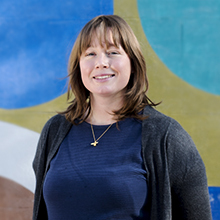 After seven years producing programming for leading UK and international broadcasters, Jo made the jump to the non-governmental sector where she headed up the marketing and communications for Street Child United – using sport to challenge the negative attitudes and behaviours towards street-connected children and homeless youth around the world. Outside of work, you’ll often find Jo enjoying running, playing football, travelling and walking her dog, Moomin. 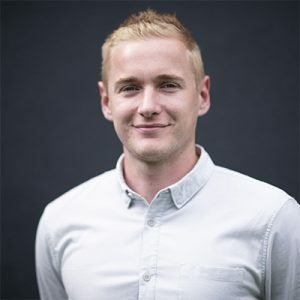 Josh is an Electronic Engineering graduate and spent over six years with Apple in a number of countries and functions, with the majority spent in Product Marketing, managing product functions such as launch, strategic planning, internal software development, government policies and pricing. Other than wanting to create world-changing products, he enjoys all technology, cars, writing and making music. After a Master’s degree in Publishing, Imogen spent six years in the weird and wonderful world of fashion quarterly and creative agency TANK magazine producing all things print, digital and video. Two years as Creative Production Director at eg+ worldwide followed and led into the most recent 2 years as Workflow Director at ELLE UK. Throughout the years, the digital revolution within publishing and advertising and the fast-paced fashion industry in constant flux grew her interest in innovation and its ability to contribute to society. In her spare time, she loves to invent recipes, roam around museums, binge-read news, run, and tinker on new projects. Miriam helps startups develop their narrative and tell their stories to the world. 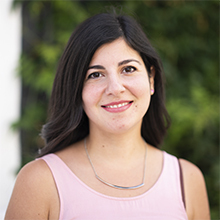 With an appetite for disruptive tech, most recently Miriam worked on strategy and creative campaigns for world-renowned brands and emerging fast-growth companies alike. Prior to this, Miriam was one of the first team members at startup Velocity, a concierge reimagined for the digital age. In her time there, she worked alongside a small, dynamic team to develop the brand’s identity and voice from conception to raising more than $30m in venture funding and launching in the U.S. Fun fact – #ThisGirlCodes. Miriam recently completed a coding course at Twitter’s UK HQ. Rachael’s background is in fast paced technology businesses. She studied law at the University of Warwick & the University of Hong Kong, and qualified as a solicitor at global law firm, Herbert Smith Freehills. 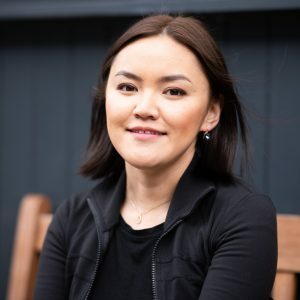 She then spent two years working on high value technology deals for Accenture before moving to Deliveroo, where she saw the business through a period of record-breaking growth and worked on a variety of cutting edge legal issues. She has worked with several other startups since, including GoCardless. Rachael enjoys travelling, water sports and discovering new music. Alex graduated from King’s College London in 2013 before spending two years living and working in the French Alps. He returned home to complete his training contract at Reed Smith LLP, during which he spent six months advising on a range of commercial matters at print and radio titan, Bauer Media. Upon qualification, Alex joined the IP, Tech and Data team at Reed Smith where he focused on implementing data privacy compliance projects for multinational corporations. Outside of work, Alex enjoys and has a talent for filming and editing videos – from trips to new places to his friends’ weddings! After graduating from Bristol University in French and Spanish, the first thing Geordie did was drive to Mongolia. He got as far as Kazakhstan. Not disheartened by the adventure, he went on to found and sell a backpacking app providing off-the-beaten track suggestions and tips. Prior to joining what3words, Geordie worked at a VC firm uncovering some of Europe’s future technology giants. Tom graduated from Cambridge University where he read Arabic with French and Spanish. During this time, he spent a year living in Oman writing his thesis on Islamic Finance. He has since dabbled in a range of industries, comprising stints in asset management, political consultancy, corporate intelligence, and a period on the British Council’s Middle East desk. Having taken every opportunity to backpack his way around the world and having spent the majority of these trips hopelessly lost, Tom felt he had no choice but to join the what3words team. After his studies at Sorbonne and EDHEC, Pierre spent the following three years in Africa. After a stint at the French Trade Commission in Johannesburg as a trade adviser, he joined the Jumia Group for more than two years, working for Jumia Travel in Kenya as a business developer and then leading Jumia’s classifieds businesses in Tanzania and Morocco. This allowed him to develop a strong understanding of e-commerce, customer experience and operations in complex environments. Besides of work, Pierre enjoys playing the drums and refining his cooking skills. 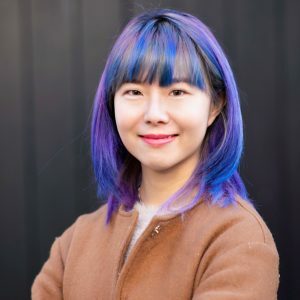 Lily comes from the world of SaaS startups, working for a company that improved digital user experiences for brands such as Air Canada, LATAM, CNN and Booking.com. 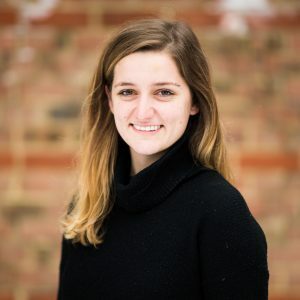 Originally from Sausalito, California, her studies in International Relations and Geography and career in tech have taken her from St Andrews, Scotland, to Amsterdam, New York City and finally London. She is a keen language learner, speaking Spanish and Dutch and a geo-nerd with the nickname LPS for her compass-like sense of direction. 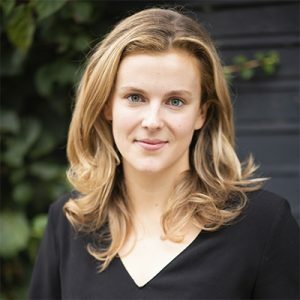 If she had been born a few hundred years ago, these talents would have been highly valuable, but in the modern digital landscape she’s using her skills to help people locate beautiful and unique travel destinations via what3words. George has a background in investments and early stage startups. 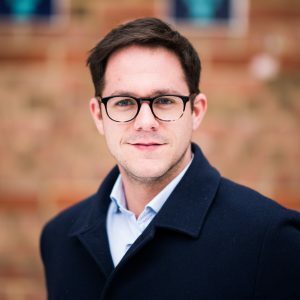 Having spent the first few years of his career in investment management, he joined the team at onefinestay, where he was instrumental in growing the business prior to its sale to AccorHotels. 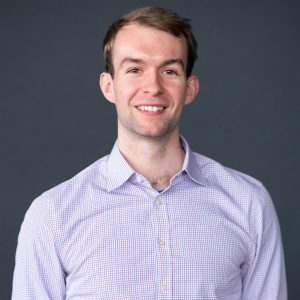 Just before joining what3words, George led the growth of an e-commerce and logistics startup from seed round to Series A. When he’s not obsessing about addressing the world, you’ll often find George training for a competition in the pool. After graduating from Oxford University, Will threw caution to the wind and set off to cycle around the world. Over two years, 30,000 miles, 42 countries and countless punctures later, he returned home, legs aching, to dive into the London tech scene. 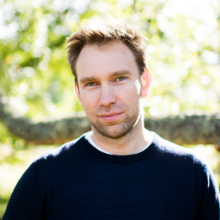 He worked for two years leading the expansion of a fast-growing travel startup before moving on to join the what3words team. Besides work, Will enjoys almost every kind of outdoor activity and hopes to adventure in South America sometime soon. Zolzaya joined what3words after reading her undergraduate degree at Ritsumeikan Asia Pacific University, Japan. While at university she worked on Japan’s first international business case competition. She also held the position of action plan executor at World Merit , tackling UN Sustainable Development Goals. In her spare time, she likes to listen to podcasts, practice yoga and hang out with her grandmother. Khongorzul studied International Relations and Peace Studies at Ritsumeikan Asia Pacific University, Japan. During her final year, she organised the first ever INITIATE Business Case Competition with students from the universities of Kyushu Island. She has worked as Foreign Relations Officer at a mining supplier company and more recently worked on the ongoing Underground Project of Oyu Tolgoi LLC Mongolia, one of the world’s largest known copper and gold deposits. Khongorzul is an innovative tech enthusiast, and in her spare time loves listening to motivational podcasts and reading articles about self-development. 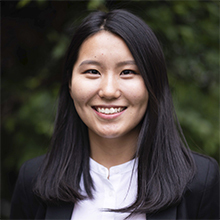 Zolboo achieved her International Business Management degree at Mongolia International University, spending a year of her studies as an exchange student in Korea. After her degree, Study of the US Institutes awarded her the opportunity to represent Mongolia in a US Adaptive Women Leadership programme. She went on to spend almost three years as Sales and Events Coordinator in the high-end hospitality industry, handling international and intergovernmental conventions as well as corporate and social events. Zolboo also served as a leading youth advisor for over two years for the United Nations. Creative and detail-oriented, she is passionate about social enterprises promoting sustainability and empowering women in business. In her spare time, she enjoys volunteering, singing and spending quality time with her loved ones. Having lived in Geneva, London and Brussels, Zama is now putting down roots in South Africa to help build an ecosystem for what3words. 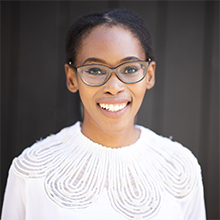 Zama previously worked with Danish companies to support their market entry in South Africa, and prior to this, spent three years in Brussels working in European public affairs with companies in the environmental space. Zama completed her Master’s degree in International Political Economy at the London School of Economics. She is a foodie at heart and adores Italian and Indian cuisine. 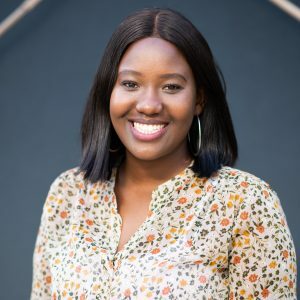 After completing her degree in Marketing Management at the University of Pretoria, Ceejay kick-started her career at the Johannesburg Stock Exchange, where she focused on Investor Relations and Marketing. After three years, she joined Ernst & Young South Africa as Marketing Manager for its Advisory, Assurance, Transaction Advisory Services and Tax services. Motivated and excited by disruptive technologies that are changing lives, she then left the world of financial services to join Uber, where she led its South Africa marketing campaigns. Ceejay loves meeting new people, exploring new places and is almost never without a smile. Khulan is a creative thinker who is always learning. She holds an MBA from the Graduate School of Business, Ulaanbaatar. 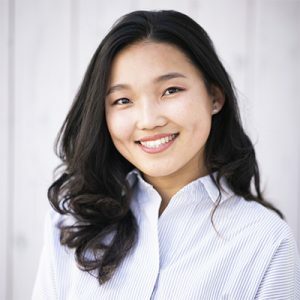 After completing her studies at the Technical University of Dresden, Khulan began her career as a Project Coordinator at an international trade fair organisation in Mongolia where she became a problem solver for clients. Plagued with a poor sense of direction, Khulan feels she has found the perfect role at what3words. 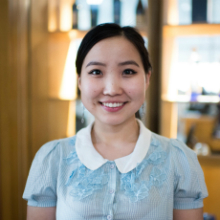 Away from work Khulan likes to spend her time with family and friends and enjoys binge-watching TV shows. She is also a keen karaoke singer and basketball enthusiast. 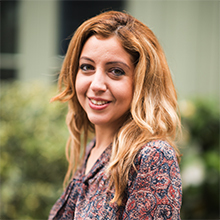 Oyunbat joined what3words after completing her MBA at the Robert W Plaster School of Business and Entrepreneurship in Lindenwood University, USA. 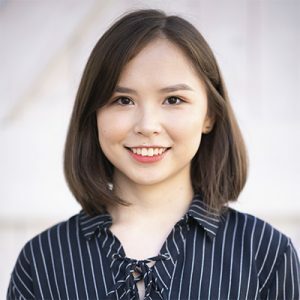 She earned her Bachelor’s degree in International Economic Relations at the National University of Mongolia, and is passionate about new technology, new ideas and new ways of thinking. 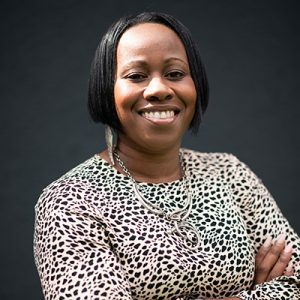 She enjoys developing and executing long-term marketing strategies as well as short-term actions, leveraging her creativity to drive results. Outside of work, Oyunbat loves travelling to new places, solving detective and IQ riddles, and following TV sitcoms. After hitchhiking to Afghanistan from London, via an unplanned few months in the Greek Islands, Richard had caught the travel bug. 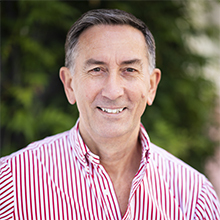 He has now spent over 35 years in travel, hospitality and service industries visiting 85 countries for business and pleasure. Senior roles have been held at Preferred Hotel Group, CNN International, Forte and Le Meridien Hotels, FPP, Best Western and JA Resorts & Hotels. 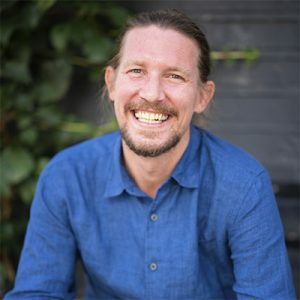 He has a deep understanding of digital transformation and disruptive innovation after helping to pioneer changing travel booking patterns with WorldRes in the late 1990s and launching Clickworker’s crowdsourcing platform in the UK in 2010. Along the way, he invented a word game, launched by Hasbro as Boggle Master. Charlie studied Geography at Durham University, which partly involved mapping the best areas to plant vineyards in South East England. 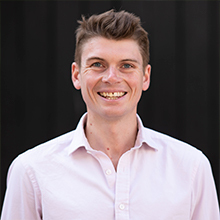 Before joining what3words, he spent time in the drinks, events and business intelligence industries, working closely with some of the world’s largest organisations. As a keen runner, Charlie enjoys exploring the streets or paths of any place he finds himself. Based in London, his home is identified by the ever-changing variety of flags that adorn his garden flagpole or the sound of friends and family over for a meal. 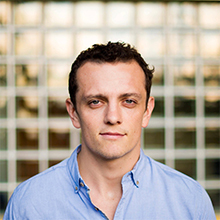 Gregoire studied Business Management at EDHEC Business School in Lille, France. After working in project management in both Belgium and Chad for an Environmental Services Consultancy, he dove into the world of e-commerce at Jumia Group as Country Manager for classifieds ads in Madagascar. During this time, as well as spending a year in Mexico, Gregoire became familiar with the problems of addresses in different parts of the world. Having realised that he could not rely on his own sense of direction to help him find his way, what3words was a natural fit. 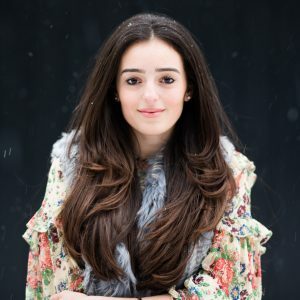 Gigi is half-Colombian, half-French and studied Politics and International Studies at the University of Warwick, UK – with one year at the University of California, LA. Gigi started her career in tech by co-founding a Fashion startup aimed at helping emerging fashion designers launch their first collections. 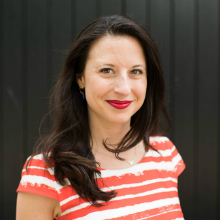 She also worked as an early-stage crowdfunding investor at Seedrs and graduated from the New Entrepreneurs Foundation in 2017. In her spare time, Gigi likes cycling, travelling, going salsa dancing, hugging dogs and practicing the capitals of the world. An intrepid explorer, Max has lived and worked across four continents. From volunteering in rural Tanzania to interning for Carlsberg China and followed by a German soft drinks firm, he enjoys nothing more than scratching destinations off the map in his bedroom. After completing his degree in Economics and Chinese at Edinburgh University, he found himself based between Chicago and Shanghai building an e-commerce platform for an American luxury home goods manufacturer. Outside of work, Max spends his time navigating the local running routes of wherever he finds himself, and is enjoying using what3words to save the exact locations of his favourite spots. From a career that began with eight years with The Discovery Channel, Florence went on to lead print, video and digital production studios within the advertising space. Relationship focused, she enjoys building long lasting colleague, client and agency partnerships. When she isn’t managing internal workflow at what3words, Florence enjoys being a dedicated mummy and fitting in the odd spin class, when she can. 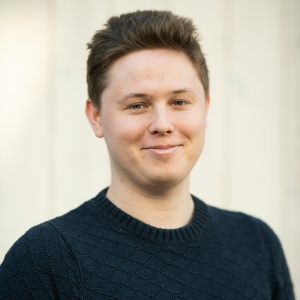 James finished studying History at Bristol University with a strong desire to work abroad and keen to be involved in impactful business. He first came across what3words that summer while driving around Tanzania and knew it was the company for him. Having dropped his previous plan to move to Chile, he started at what3words in January 2018. Besides work, James enjoys being outdoors at home in Scotland, travelling, and struggling to play his bagpipes. 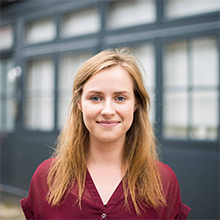 Laura joined what3words with a background in project development, event co-ordination and production experience. She studied History of Art at the University of Cambridge, before dabbling in journalism as a Researcher for The Week magazine. With an appetite for international experience, she moved to Hong Kong and worked for an educational NGO as well as the Design Trust, for which she set up art festivals and educational events across the city. 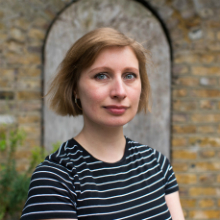 Outside of work, Laura volunteers with My Body Back, a UK charity supporting victims of sexual assault, and also helps lead The People’s Film Club, which screens monthly documentaries in aid of grassroots charities. 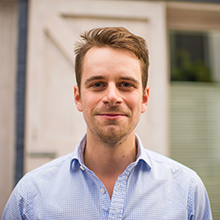 Matt joined what3words as an International Business graduate from the University of Portsmouth. Prior to this, Matt helped Uber grow its ride-sharing operations and driver support across the South of England. 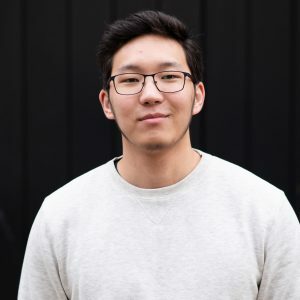 Matt previously interned with online food delivery platform, foodpanda, where he specialised in operations and logistics. He spent a year of his university studies in Valencia, Spain, and is a fluent Spanish speaker. Outside of work, Matt enjoys playing football, discovering new places, and keeping his finger on the pulse of the latest tech news. Patrick read History at the University of Edinburgh, during which time he spent a year living and studying in Delhi. This gave him the opportunity to indulge in his passion for travelling, found his own charitable clothing project and endure a 56 hour train journey from Kerala to Delhi. After graduating, he was keen to work in a fast moving environment and spent two years at an early stage Fintech. Aside from discussing 3 word addresses, Patrick enjoys spending time falling off his local climbing wall in London. 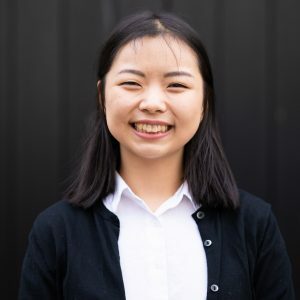 After studying for her degree in Business Management at Mongolia International University, Altjin worked in the tourism sector for a year, which she followed with an internship at the Mongolian National Commission for UNESCO. She loves travelling and challenging herself, and last year combined her passions to embark on a five-week solo trip to South East-Asia. In her spare time, Altjin enjoys hiking and reading books. Turbold joined what3words after working in Audit & Assurance at Deloitte with clients in the financial services, mining and tourism industries. He earned his undergraduate degree in Business Administration and Financial Management from LETU Mongolia University. During his studies, he spent a semester abroad at LeTourneau University in Texas, USA. Outside of work, Turbold enjoys playing basketball, camping and keeping up to date with world politics. 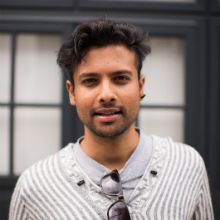 Nomin joins what3words after graduating from Brown University in Engineering and Physics. During college, she spent her time working as a research assistant in several research labs, focusing on studies ranging from experimental particle physics to applied mechanics. She loves coding in her free time and enjoyed participating in annual hackathons and datathons at Brown. With a passion for learning and creating, she can be found in coffee shops reading books, writing poetry and learning new things outside of work. Nayanjin believes in power of technology to enhance better living for all. ‘Learning how to learn’ is her current motto. She studied Business Management at Mongolia International University, after which she continued to work as an administrative secretary and accumulate her experience in detail-oriented work. In her free time, she likes to spend time with her close friends. 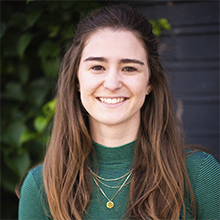 Chloe has been working for what3words since 2013, and in her years with the company has performed a dizzying array of tasks for the operations and marketing departments. 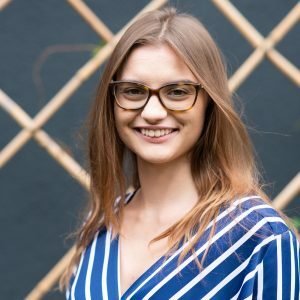 Currently, her role focuses on keeping many of the core aspects of the business running smoothly, from day-to-day accounts to customer support, translation requests and helping ensure the team are a set of happy campers. She holds a Master’s degree in Chinese history, and enjoys horse riding and reading all the books. 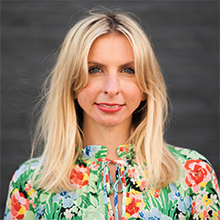 Michelle started her career working at creative agencies in London, where she ran client services for both global and domestic brands. 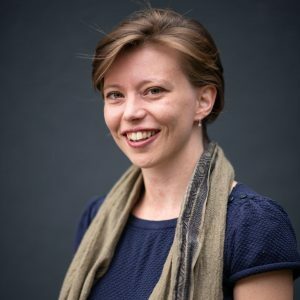 After seven years, she made the move in to the non-governmental sector, where she joined the brand team at Save the Children and ran their humanitarian and conflict communication campaigns. Outside of work Michelle is often found at the gym, trying out a new recipe or travelling. She also takes part in a local mentoring scheme to help children get a better start at school. 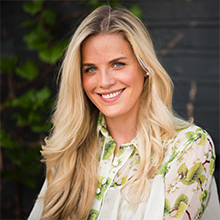 Australian by birth, Sophie made the move from Melbourne to London several years ago to pursue her passion of working in a global marketing team with various countries and cultures. Having graduated in 2013 with a Master of Commerce in Marketing, she has since worked within teams of some of the largest global brands in beauty and automotive, including Daimler Mercedes-Benz, helping them win awards for creativity and effectiveness. In her spare time, she likes to fill her day with activities. In the mornings you may find her riding in Hyde Park exercising the Household Cavalry horses (even in the depths of London winter), at the gym or in a yoga class. In the evenings she enjoys walking or cycling home (anything to avoid the tube!) and learning Spanish. After studying Geography at the University of Cambridge, Jane spent the next eight years working in advertising. 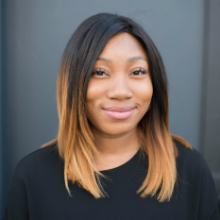 She spent the majority of this time at independent agency, Creature of London, where she was part of the management team, led the account handling department and headed up key client relationships. In her spare time, you’ll mostly find Jane travelling, making curries or attempting to master any new craft she can get her hands on, from screen-writing to pot-throwing. 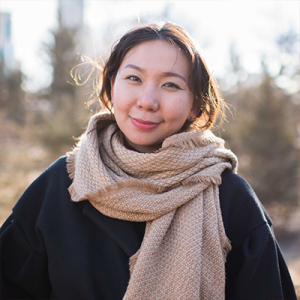 Originally from Tashkent, Sasha moved to Moscow to study Marketing and started her first job in advertising. She then spent six years in Hong Kong before moving to London in 2012. She has worked in account management at WPP, Publicis and Omnicom Group, helping build global FMCG, financial services, cosmetics and sport brands across emerging and developed markets. 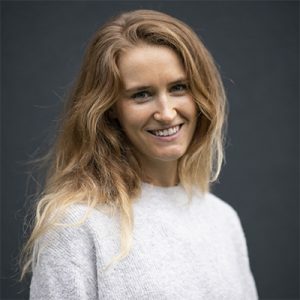 With her passion for everything digital, Sasha specialised in digital strategy and web builds in her recent role at Ogilvy Healthworld, where she launched the iconic Viagra Connect brand and managed the development of two websites. In her spare time, Sasha loves traveling, enjoys London’s cultural scene, fitness and walks in parks. 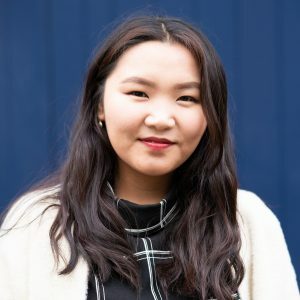 After studying English Literature at Newcastle University, Alice’s love for good storytelling led her to M&C Saatchi, where she helped travel, tech and consumer brands including Peroni, Ocado and Club Med, communicate their stories. 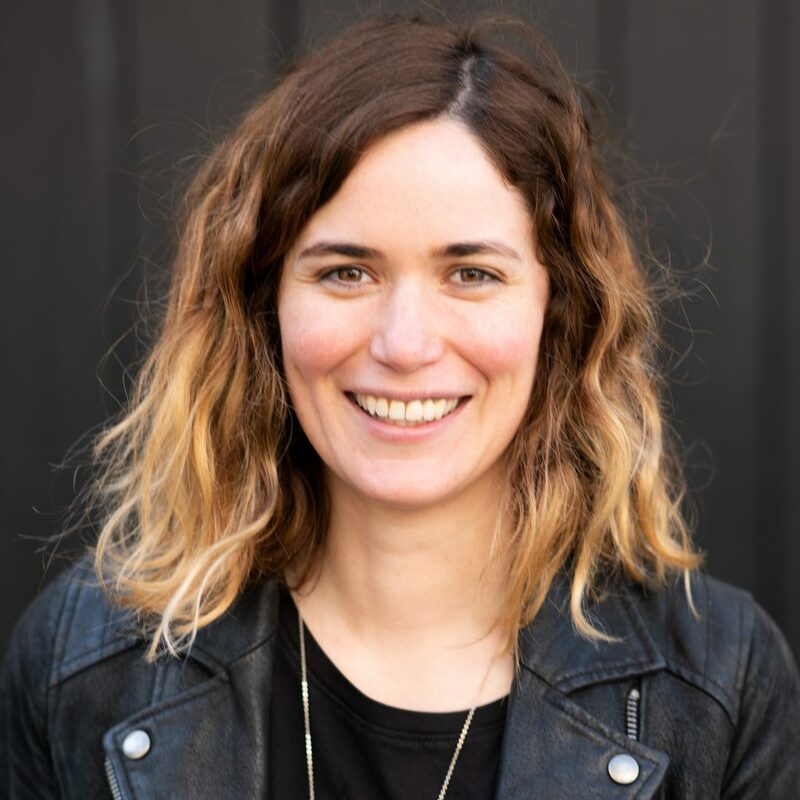 Next, she turned her creative attention to the world of book publishing, where she honed her project management and editing skills before joining what3words. Outside of work, Alice enjoys running, theatre and travelling to new places. 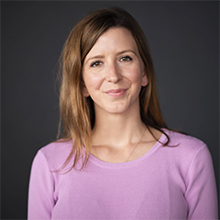 Prior to what3words, Caitlin worked at the Microsoft Ventures and MassChallenge startup accelerators where she supported startups to drive innovation. Previously, as Cloud & Student Audience Manager at Microsoft UK she managed its largest global student technology competition, The Imagine Cup. 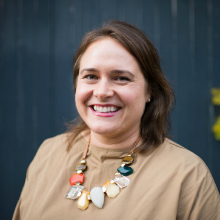 Caitlin graduated from the 2018 class of The New Entrepreneurs Foundation and was nominated by The Guardian as one of their ‘Renegade professionals’ to watch. In her spare time, she can be found tackling long distance sporting events or experimenting in the kitchen with a range of innovative healthy snacks. After a Master’s degree in International Communications Strategy from the University of Burgundy and a short stint as a journalist in China, Benoit made the move to London where he spent over 10 years working in top digital, social and content agencies managing clients such as Unilever, Toyota, Vodafone and HP. When not on social media, he can be found roaming around museums, watching a film at the cinema or travelling the world in pursuit of the perfect cinnamon bun. Danielle studied Criminology at The University of Southampton in her hometown. While she studied, she discovered her love for all things social media and created her own personal food and lifestyle blog on Instagram, gaining a following of over 15k. 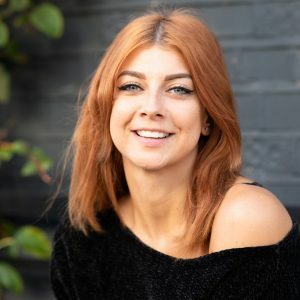 After graduating, Danielle spent two years running social media marketing campaigns for a festival ticketing company, where she realised that music festivals are now her summertime-must. Outside of the office, she takes every chance to try new recipes and take country walks. Ryan works on digital creative and brand experience. He previously developed strategic and creative solutions for Virgin Atlantic, MARS, Lloyds Banking Group and Aviva. He also did the same thing for the military in Singapore, but that’s a different – and classified – story! In his spare time, Ryan takes photos, plays too many video-games, and makes digital-art for a tremendously geeky Star Wars board game. 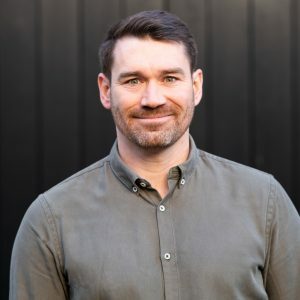 Howard has nearly 20 years of experience across digital marketing, specialising in delivering awesome customer experiences, building retention and brand loyalty. He has worked across a spectrum of industries, from telecoms to retail and non-profit. He led Haymarket’s transition from traditional to digital marketing for publications including Management Today and Marketing Week. Spending four years at The Football Association, he project managed the first England World Cup mobile app, its campaigns and nationwide pilot. Howard shares his knowledge of marketing at CRM events and with charity projects in Malawi on ‘go-to-market’ strategies. His creativity is fuelled by his love for reading and his passion for flying drones led him to discover what3words. Jamish is passionate about building products that can improve lives and enhance our experiences. Whilst reading Economics at university, he developed the app ‘Who’s Out?’ to digitalise student nightlife before combining his interests in sport and technology to help launch the fantasy football app ‘SportHero’. Since then he has launched and scaled Uber across the South Coast and went on to become the Head of Safety for their UK operations. Jamish is an alumnus of the New Entrepreneurs Foundation and enjoys mentoring students hoping to begin their careers at startups. Wil spent the last three years in the ad agency world exploring all things data. He led the measurement of Google Hardware product launches in EMEA and more recently, a predictive analytics workstream for Universal Pictures. 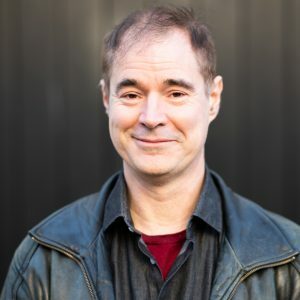 Before then, it’s safe to say that Wil took his time to really explore university, studying degrees in Physics, Engineering, Geography, and finally a PhD in Planetary Terrain Mapping where he created and analysed 3D maps of Mars, the Moon, and Antarctica. The move to what3words presents the perfect opportunity to merge these two lives and his passion for maps and data. Davide has a Master’s in Computer Science from ParisTech, and, after living in Brazil and working in Germany, he has since settled down in London. Passionate about language and travel, he always wanted to work in a disruptive industry. 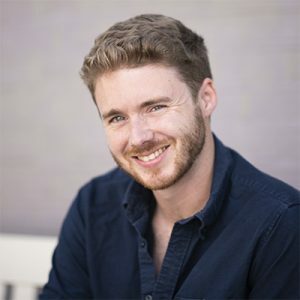 Prior to what3words he worked in the ad tech industry for three years where he learned how to transform billions of logs into actionable insight, advising app clients such as Spotify and Careem. When he is not in the office he is most likely to be found somewhere in the world climbing mountains. Hugo studied at Durham University and studied his Master’s degree from at the London School of Economics. He is passionate about technologies that radically improve people’s lives. 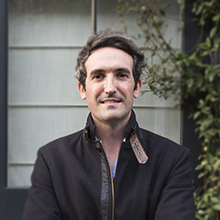 Prior to joining what3words, Hugo was an advisor to the CEO of a major communications firm working in London and Washington DC. 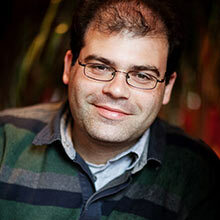 He is a contributor at the Huffington Post and has written for LSE Business Review, New Statesman and CapX. In his spare time Hugo is a keen saxophonist and cyclist. 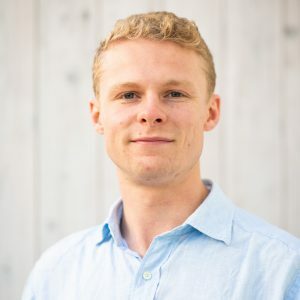 Paddy studied Philosophy and Economics at UCL and joins what3words after completing his Master’s degree at Columbia University, where he studied Quantitative Methods in the Social Sciences with a focus on Data Science. He is passionate about using statistical analysis to uncover underlying hidden trends in data, which he has applied to a range of fields in his studies – including developmental economics, fraud analysis and social networks. Outside of work Paddy enjoys all things rugby, improving his somewhat average squash game and a good podcast. Giulia studied in Turin, New York and finally London, where she graduated in Information Management for Business at UCL. 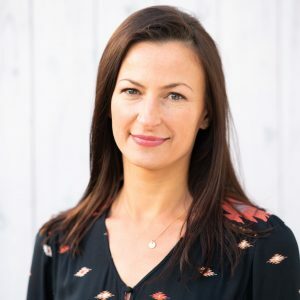 She has put her hand to building tech products at IBM and worked at OC&C Strategy Consultants, where she constructed models to provide businesses insights on how to grow sales. Giulia loves exploring new countries on horseback, recently covering Icelandic and California trails. She joins what3words bringing her love for good food and echoing laugh along for the ride and enjoys creating a little bit of Italy wherever she goes. Gabrielle studied Mathematics and Literature at Université de Bretagne Occidentale, followed by a Masters in Cognitives Sciences at École des Hautes Études en Sciences Sociales in Paris. Before joining what3words, she spent four years collecting, analysing and interpreting data for clients including Maserati, Renault and L’Oréal. She enjoys understanding customer behaviour and sharing insights to help businesses make informed decisions – from giving direction to upcoming seasons of TV series, to helping develop brand campaigns for car manufacturers. When she isn’t researching, Gabrielle is playing board games, drawing or going to music festivals. 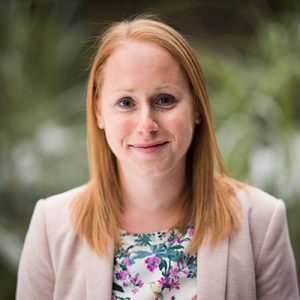 Prior to joining what3words, Kate worked at a school for eight years, supporting children with learning difficulties as well as working as the school’s Charity Coordinator. Following her interest in geo-politics and social and economic development, she went on to study Development and Globalisation at Birkbeck, University of London. Outside of work, Kate loves travelling, watching documentaries, yoga and trying new food. Oliver began his career in the restaurant industry, training to be a chef in his hometown, Oxford. Then, ditching the whites for a shirt and tie, he moved on to head-up front of house. Work took him to Manchester, where an unexpected change of course led him to study Fashion. After completing his first degree, he then moved to London and enrolled in a top school perfecting the craft of Fashion and Bespoke Tailoring. Straight after he secured a job at the infamous fashion house Alexander McQueen and has since worked for some of the most prestigious brands in the creative industry. Looking for a new and interesting challenge this led him to what3words, working alongside CCO Clare Jones. In his spare time he likes to take his dog Archie for long country walk, entertain friends with his cocktail making skills and work on his ‘summer body’ in the gym all year long. 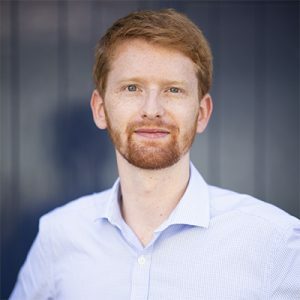 After his Bachelor’s degree in Computer Science, Roger worked as an IT Engineer and Consultant for over 10 years, supporting a range of networks, server installation and domains for clients across Europe. He went on to travel across Asia for two years, where he co-founded an after school activity programme for children and teens to improve their computers skills in Guangzhou, China. During his spare time, he enjoys learning about new tech, snowboarding and most of all, eating! A keen foodie, he’s not afraid to explore new food and once ate a paella for four all by himself. Despite being at the start of her career, Laura has worked in a multitude of job roles. From working as a Creative in advertising in London and Turin, Italy, to vegetable packing at a wonky fruit and veg delivery service, she can turn her hand to anything and everything. As Office Coordinator, Laura keeps the cogs turning at what3words – as well making sure that we never run out of biscuits. Outside the office, you’ll find her listening to Desert Island discs, figure skating or working on her new, top secret business idea. After completing his Computer Science degree at Kent University, Simon joined BT as part of their graduate intake. Over the next six years he worked in several areas of the business, with a focus on testing and diagnostics. Simon developed numerous analytics systems for the detection and classification of line faults, two of which resulted in patents. 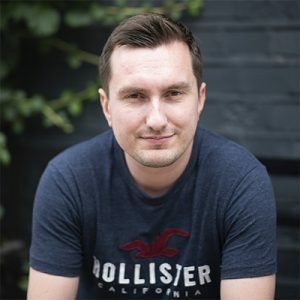 Simon then spent three years at digital solutions provider, NetXtra, where he undertook the role of Senior Developer, before going on to become their hands-on Head of Development, leading their team of developers and project managers. Outside of work, Simon spends his time following Charlton Athletic, and walking Rory, his Jack Russell Terrier. Mike has an LLB in Law and European Legal Systems and an MSc in Computer Science, both from the University of East Anglia. He spent four years working in CRM integration for digital solutions provider, NetXtra, followed by three years as a Java Developer, before spending a year as Lead Java Developer. In his spare time, Mike is an Ipswich Town season ticket holder, enjoys running and going to the gym. Dave serendipitously discovered computers in high school. This led to a BSc in Computer Science from Simon Fraser University, Canada. Since, his eclectic career has seen him found several tech companies. He’s also self published a number of apps that run the gambit from silly penguin games to serious medical tools for obstetricians. More recently, he’s been living the ‘digital nomad’ lifestyle, basking on tropical beaches in some delightful countries. After growing weary of seemingly endless surf and sun, he snapped up the opportunity to work in London for what3words. Weirdly, he has been an extra in two Bollywood movies and was recently surprised to discover he has an IMDB page. After his degree in Electrical Engineering, Selva worked as a Windmill Production Engineer in India. 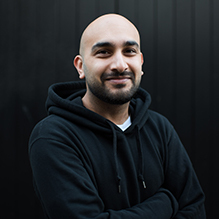 He moved to the UK to study for his Master’s in Business from Coventry University, and went on to spend eight years in web and mobile app development. As Lead iOS Developer at a tech company, he enjoyed working with brands including Peugeot and Citroën. His most recent projects include optical character recognition and voice recognition. Outside of work, Selva spends much of his time with his little daughter. From a young age, Cornel enjoyed breaking down computer hardware only to fix it again and recalls his first OS being MS-DOS and being able to access basic games without a GUI. 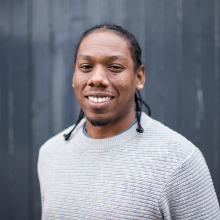 After gaining a degree in Multimedia Technology, Cornel joined startup company Flubit where he established his status as the ‘go to’ for all things technical. He joins the what3words team as our in-house Technical Support expert, where he is keen to explore his passion for hardware configuration, infrastructure and technical problem-solving. In his spare time, Cornel enjoys playing football and dabbling in cryptocurrency, which he believes to be the future! 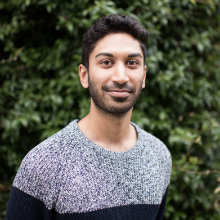 Sunny moved from Birmingham to London for his post graduate in Critical Thinking and Media Communication. Before joining what3words he worked with the Illusionist Derren Brown, promoting his Trick or Treat series as well as with brands including T-Mobile, The Savile Row Company and Squawka LTD. 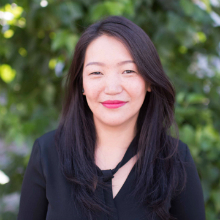 Sunny has a passion for all things design, technology, international relations, reading and boxing. Iannish has lived and worked in five different countries. 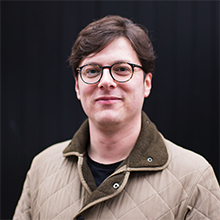 He has nine years of design experience accumulated from multiple large broadcasters to include ITV and the BBC. 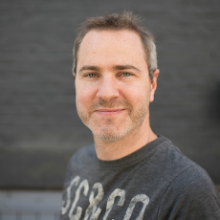 He also has experience in smaller startup environments, including agencies and the music space. Before joining what3words, Iannish led the Commercial Design team at Time Inc. 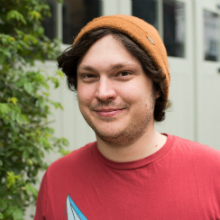 In his spare time, he enjoys bouldering, tennis, attempting to play the guitar and designing obscure indie games. Niki worked in the digital industry for seven years, where she led the creative team on over 40 projects around innovation, digital health products and financial technology. She has worked on campaigns for global brands from PepsiCo to Sky and 3M. Prior to joining what3words, Niki led the design and UX for Greater Change, a donation app for homeless people in Oxford. In her spare time, she is a keen illustrator and is passionate about bringing more women into technology. Anna discovered her love for art at a young age, which led her to build her current background in academic art. After achieving her Bachelor’s degree in New Technologies at the Academy of Fine Art in Naples and qualifying as Graphic and Web designer, Anna worked in both London and Salerno, Italy, as a graphic and digital designer. Her passion for tech and design has brought her to take on her next challenge as UI and UX designer at what3words. When she’s not designing or sketching ideas, Anna likes exercising, reading, watching documentaries, learning new languages and salsa dancing. 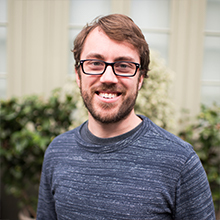 Luke is passionate about building great experiences and solving problems. 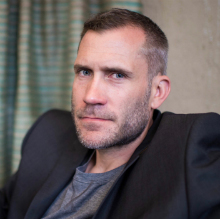 He studied Digital Art and Technology at Plymouth University, which allowed him to experiment with emerging technologies and develop in an artistic and conceptual environment – without growing a beard. 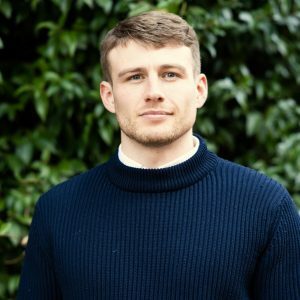 Since graduating, Luke has worked across property, security, healthcare and fintech. Outside of work, you can find Luke on the coast somewhere SUPing or windsurfing, with the occasional climb thrown in when on dry land! 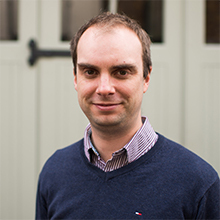 Andy spent 10 years working in the geospatial field after studying for a Master’s in GIS at the University of Leeds. During the last seven years, he has focussed on the development and product management of numerous exciting and cutting-edge web mapping apps. 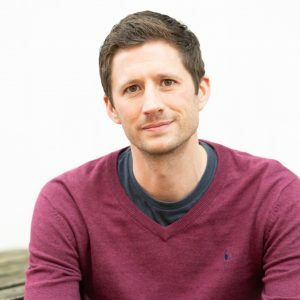 Andy worked for Newgrove for five years first as a developer before moving into product management of their core product Periscope. 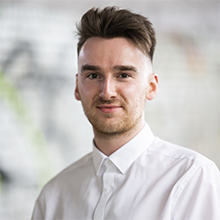 More recently, Andy worked at Atkins as a Product Manager within their Digital Engineering team. When not playing with technology and maps, Andy loves playing racket sports, running and cycling. 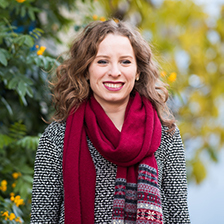 Rachael has a First Class Master’s degree in Theoretical and Applied Linguistics from the University of Cambridge. Having focussed on the semantics and pragmatics of language, her research and resulting theory of politeness lead to a key note speech at a recent linguistic conference in New York. Outside what3words, she typically spends her time running and watching documentaries. 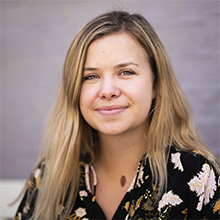 Maiju’s background is in project planning and coordination, and before moving to London she had a key role as the coordinator of a major educational reform project in the University of Helsinki, Finland. 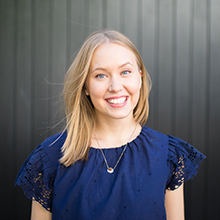 A keen language geek, Maiju is armed with a Master’s degree in English Philology from the University of Helsinki where she also studied Communication and Social Psychology. Outside of what3words, Maiju enjoys long walks and talks, aerial acrobatics, and spoiling her friends with good food. Toby had an international upbringing, living in five countries before the age of 20, which inspired his fascination for languages and travel. He pursued his interests by studying French and Linguistics at Lancaster with a stint in Switzerland (country number six), followed by a Master’s degree in Language Evolution in Edinburgh, Scotland. 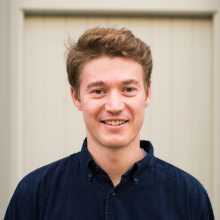 Toby worked as a freelance translator throughout his time at university and joined what3words shortly after graduating. He can often be found reading or lecturing to people who aren’t that interested about the more obscure corners of academic linguistics. 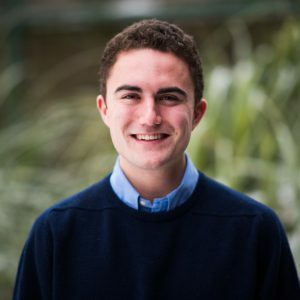 Finishing school with no idea what to do, Sam spent a year in Salamanca, Spain, where he developed a deep interest in meeting people from all over the world and cross-cultural communication. He returned to the UK to study Italian and Spanish at the University of Manchester and spent year studying in Ferrara, Italy. He is excited about what3word’s potential to positively impact lives across the world. Outside of work, Sam loves travelling, animals, Indian food and techno music. Maddie has a BA in History and Spanish and an MA in Creative Advertising. She has followed her passion for words, languages and creativity to places as far-flung as Morocco and Guatemala, working in tourism, education and NGOs. Maddie joined what3words after three years as an advertising creative and is the only team member without an address – she lives on a canal boat. Sharon is a Neuroscientist turned writer. Since graduating from King’s College London, she has put her hand to writing for a variety of sectors, developing everything from medical educational material to science blogs for the Guardian, journalistic pieces for investors and traders, and tech B2B. When she isn’t writing, you can find her running, reading or baking the most complex cupcake recipe she can find. 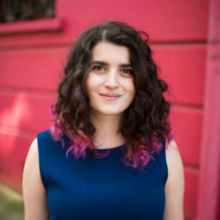 Edwina moved to London from Lebanon to study Anthropology at UCL. A lifelong voracious reader, she wrote her dissertation on Singaporean ghost stories, then went on to work in creative agencies across Europe. Edwina believes in the power of good ideas and is thrilled to be part of what3words’ journey to change the world. To find her, follow the trail of books. Ria has worked as a Graphic Designer for four years, gaining experience working in top design studios in Hong Kong and Australia. Prior to her design career, Ria worked as a leader in one of Australia’s leading general insurance companies. While completing her diploma in Design, Ria found time to pursue her love of the great outdoors and photography. 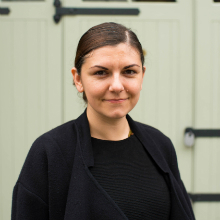 Recently Ria moved to London keen to tackle a new creative challenge, which she is keen to explore at what3words. When Ken watched the Stanley Kubrik masterpiece Space Odyssey as a boy, he knew what he wanted to do. 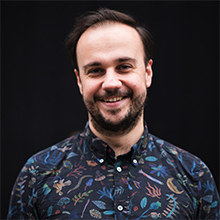 Fast forward and he’s created Motion Graphics with and for the BBC, Sky Media, ITV, Channel 4, Sony Entertainment, ROH, Bloomberg TV and most of London’s top West-End shows, galleries and museums. 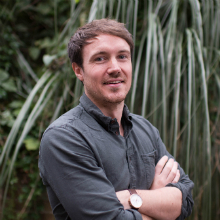 He says, ‘video is the new vernacular’, so combining his love of graphics with engaging narrative storytelling for what3words is his new passion. Ken is a keen tennis player and overall fitness enthusiast who winds down with jazz from that pivotal era of the late fifties. After gaining qualifications in Photography and Creative Advertising, Adriano began working in the advertising industry. He then followed his passion for new experiences and joined the what3words team. 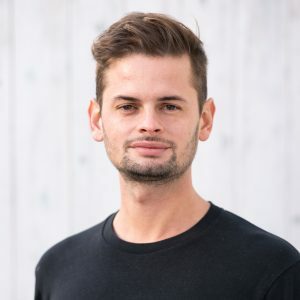 As Content Creative at what3words, Adriano works in a variety of different areas, from design to editing, photography and video. He is excited to continue developing his talents in these areas and to cultivate his skills in realising new ideas at speed. Outside of work, Adriano lets his mind travel and challenges himself every day by exploring different ideas and experimenting with new tools. Mograph is Alessio’s latest obsession which began as soon as he touched down in the UK. After a crash course in Motion Graphics at Escape Studios, he was offered work experience at MPC, where he worked alongside the best artists in town. Despite enjoying his time as a freelancer, he has jumped on board what3words where he now has a permanent home, convinced this is the perfect place for him. Passionate about design and old movies. Not only will you find him in the kitchen at parties, but he’ll probably be whipping up a new recipe there too! After graduating with a degree in Audio Production, Maggie began working in TV programme scheduling, video editing and production at Pinewood Studios. Next, she went over to become Product and Project Manager for a major gift and gadget manufacturer, where she oversaw the release of over fifty existing and new products – from conception to mass production and marketing. Her passion for tech and design has brought her to take on her next challenge at what3words. Outside of work, Maggie loves photographing gigs and festivals. She is also very athletic – she surfs the web for hours everyday!